Swedish Metal innovators THE HAUNTED have been on the forefront of the global modern extreme metal-scene since the very beginning of their illustrious run around 1996, when core members of the seminal act At The Gates decided to start out anew and afresh in a more Thrash Metal oriented shape than before. 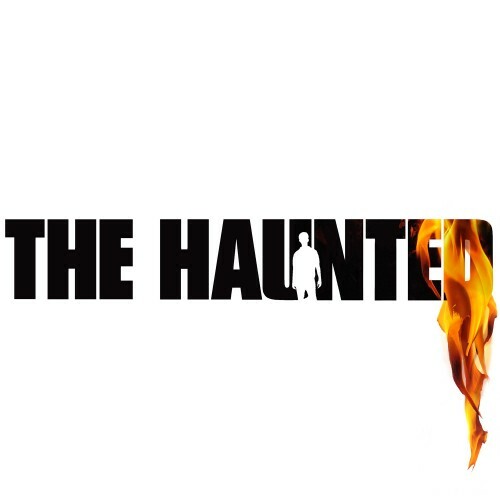 While the rest of their stylistic peers were either dormant or at a qualitative low, THE HAUNTED’s self-titled debut record took the scene by storm in 1998 and brought back faith and attention to a sub-genre of Metal that has grown back to become fervently appreciated by a legion of both old and new listeners. As a result, Thrash has been vigorously re-interpreted by countless new artists who are currently adding fuel to the fire of the voracious movement. Then again, THE HAUNTED never really understood themselves as a role-model in terms of being the “typical” Thrash act but instead often opted to take risks and challenges by expanding their sound’s magnitude and brutally honest approach. 2004’s acclaimed “rEVOLVEr” album not only saw original vocalist Peter Dolving return to the fold but also the commencement of a new, hungrier and more daring chapter of THE HAUNTED’s unlimited journey through the landscapes of extreme Metal: Their impeccable way of combining their classic ‘80s Metal influences (Metallica, Slayer, Trouble) with an utterly modern delivery, yet always trend-defiant attitude and very trademarked overall-sound has made the band equally unique and essential. 2006’s “The Dead Eye” showcased a partly rather atmospheric and quite dark musical side of things for the quintet, even though the overall heaviness and bite in the sound hadn’t been sacrificed at all. Exploring, intriguing and ultimately amazing audiences is a relevant part of an artist’s endeavour, so that consequently THE HAUNTED managed to break some more new ground throughout the album’s campaign. Having spent countless intense roadtrips all over the world in these last very active years with bands as diverse as Mastodon, Testament, Killswitch Engage, Danzig, Entombed, Dimmu Borgir, Lamb Of God, Funeral For A Friend, Cannibal Corpse, Municipal Waste or Meshuggah as well as having joined 2005’s colossal Ozzfest tour in North America, THE HAUNTED have often shown that their Metal shines at best when presented live and raw. Consequently, it was bravely decided for 2008’s “Versus” album to return to the basics and let the powergroove do the talking: Once again produced with Tue Madsen (who has worked on “rEVOLVEr” and “The Dead Eye” too) at PUK, Antfam and IF Studio, “Versus” features “No click tracks, no triggers, no faking it” and develops a fascinating level of dynamics and heaviness from its basic live-recording procedure. From the facebreaker opening track “Moronic Colossus” through the pounding vibe of “Pieces” and “Little Cage”, the infectiously catchy “Trenches”, the merciless fury of “Crusher” and “Faultline” up to the apocalyptic closure with “Imperial Death March” - this record has it all: The penetrating power of the riffs, the sharpness in the sound, the expertise in the songwriting, the passion in the vocals and its words but ultimately and mainly the unmistakable force to attract interest and cause a stir amongst all contemporary fans of extreme music.